 Consumption is a monthly feature where I give you a sneek peek at the movies I’ve watched, the books I’ve read and the products I’ve used up over the past month. This months’ consumption post is a bit smaller than normal. I haven’t been watching too many films, because I’ve gotten hooked on the supernatural drama series, “Being Human”, and it’s been taking up most of my viewing time. I’ve only used up a handful of products as well, so there’s not too much to share there either. Anyways, let’s get down to it! The Remarkable Life of Katherine Parr by Linda Porter: I was really excited to read this biography about Henry VIII’s final queen, because Katherine Parr is the one Tudor wife that I know the least about. It was a really great read, and I ripped throught it in a matter of days. I learned so much about Katherine Parr and even picked up a few tidbits about Tudor life that I didn’t know about. 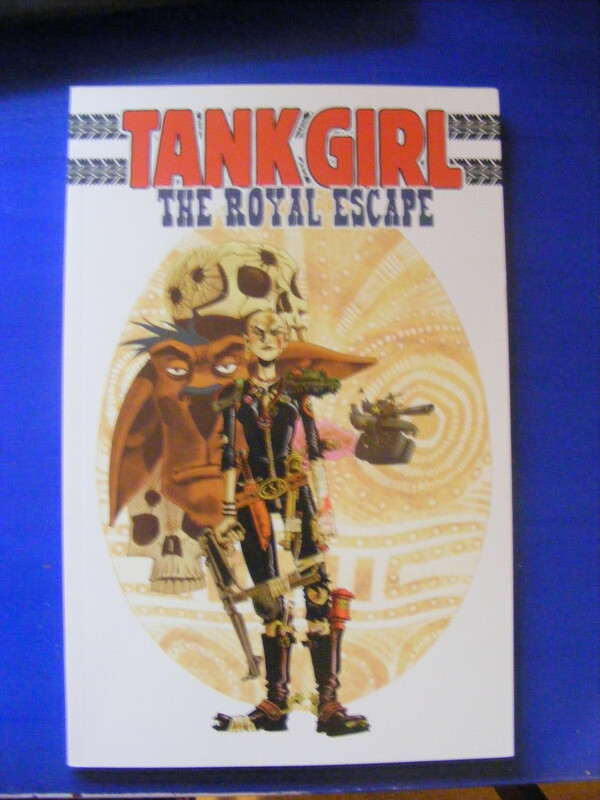 Tank Girl: The Royal Escape by Alan C. Martin and Rufus Dayglo: A weird and wonderful tale of how Tank Girl beat an army with nothing but a boiled egg and a stone army. This graphic novel was lots of fun, although I’m not as much of a fan of Rufus Dayglo’s artwork. I prefer the traditional style of Jamie Hewlett when it comes to Tank Girl. Butterfly by Sonya Hartnett: a moving and gorgeously-written story about Plum, a teenage girl with a problematic life. Some parts of this novel rang so true it just made my heart ache. I didn’t like the ending though. There was no real conclusion, the story just stopped suddenly. Other than that, it was a really great book. Ellements of Personal Style by Joe Zee and Maggie Bullock: A tome compiling a sneek peek into the wardrobes and homes of 25 fashion icons. It included such stylish women as Anjelica Huston, Charlotte Rampling, Christina Hendricks, Dianne Von Furstenburg, Candace Bushnell and Dita Von Teese. I found it fascinating and inspiring. 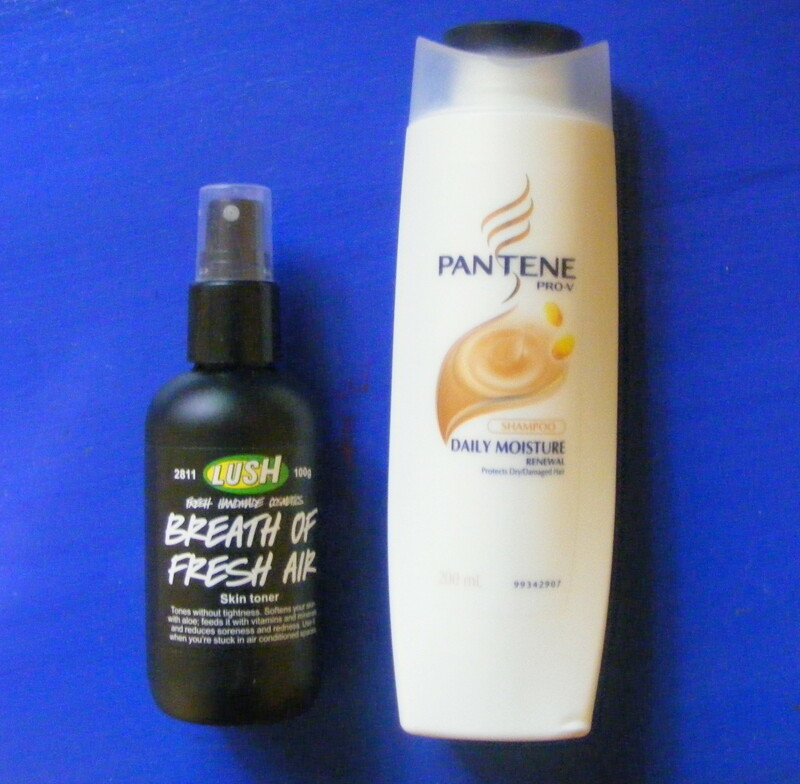 A Breath of Fresh Air toner from Lush: This is one of my favorite hot-weather products. It’s light texture and zesty fragrance is perfect for pepping up wilted, sweaty skin. It’s very gentle and doesn’t strip your skin of it’s natural oils, so it’s perfect for maintaining a plump and gorgeous complextion. Best of all, one bottle lasts for ages. I bought this back in December, and it’s lasted until May. Pantene Pro-V Daily Moisture Renewal shampoo: I have a real problem with dry, dead ends. When your hair is as long as mine is, you have to take extra special care to make sure that your locks stay nourished and moisturized. This shampoo was ideal for keeping my hair clean, without drying it out. It also smells gorgeous. De-Lovely: A biopic about the life of music legend Cole Porter. The soundtrack to this film was awesome, and featured some wonderful cameos. I never thought I’d see Alanis Morissette sing ‘Let’s Do It”, but now I can say I have, thanks to this film. It was a bit long, and the basic premise of the film was a bit clunky. However, it told Cole’s story well and left me feeling quite emotional by the end. Jay and Silent Bob Strike Back: Ross and I watched this in preparation for Free Comic Book Day. Crude and rude, it’s still as funny to me now as it was when I watched it for the first time. Mallrats: another classic View Askew movie. It features fab performances from Jason Lee, Ethan Suplee, Ben Affleck and Shannon Doherty. Clerks 2: As gross and rude as this film is, I have to say that it’s one of the best films I’ve ever seen about male friendship and comeraderie. Dante and Randall have the most dysfunctional friendship imaginable, but the bond between them is really quite lovely. This film is also worth seeing just for Jay Mews’ rendition of the Buffalo Bill dance from Silence of the Lambs. Pete’s Dragon: This classic Disney film has been on my to-watch list for a while. I managed to get a copy from the local library. It was as sweet and cutesy as you’d expect from a Disney film, but the story is really dated. I did adore Elliot, the clumsy, well-meaning green dragon. What have you been reading, using and watching this past month? Previous My new e-book: Living Frugally Without Sacrificing your Style.